A wedding is a special occasion that calls for a celebration and during this time, every bride wants to look stunning. 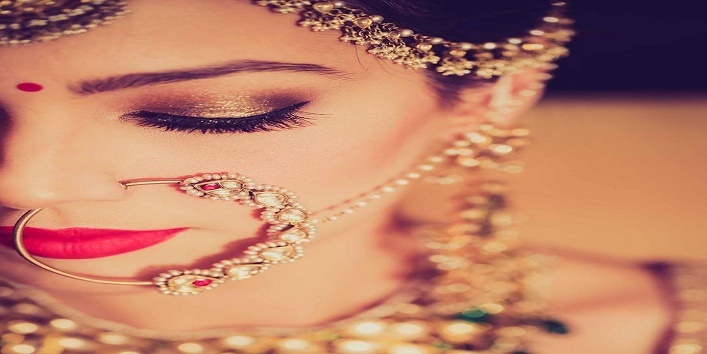 As we all know this fact that makeup plays an important role in the Indian bridal look, it is suggested that brides-to-be should go for minimum makeup and subtle look, which is an ongoing trend this wedding season. 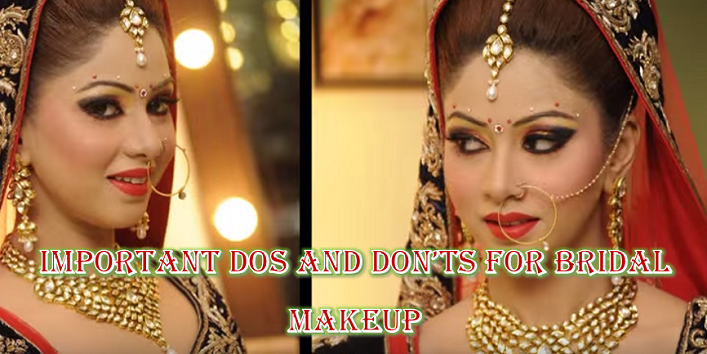 Besides, there are few dos and don’ts for bridal makeup that one should keep in mind. • Try to stick to the classic look and avoid the trends as it will fade away soon. • Use golden-toned concealers and bases in your makeup. • Bronzing powder to warm your skin tone. • Make your foundation stay for a longer period by applying foundation primer gel. Also, apply a bit of loose powder to prevent excess shine. • To apply color to the areas of face like cheeks, nose bridge and forehead use bristle brush. You can also lightly dust the neck and chest area to get an even look. • Try to include lighter and natural colors in your makeup as they won’t make you look washed out. Always display your natural radiance instead of bright colors. • Never go for wax and facials before the wedding. Every bride-to-be needs a five day off before wedding day. • Avoid talc based powder foundation as it oxidizes fast and darkens your face quickly which can make you look ugly. • Never plan your makeup at last minute. Always pre-plan everything at least four weeks before your wedding. • Over-correcting your under-eye circles. • Avoid heavy pressed powder as it will make your skin appear lifeless and chalky. • Use less shimmer as it will make your face flattering and shiny. • Always use neutral shades to highlight and contour your eyes. Stick to the classic shades: navy blue, brown and black. • Always use brow gel and powder one shade darker than your natural hair to make your brows look natural.And use brow pencil of neutral shade to fill up your brows. • Curl your lashes with a curler and then apply two coats of mascara to get lush lashes. • Never apply false lashes for the first time on your wedding day. Experiment with it before your wedding day. • Avoid dark pencils and dark shadows to define your brows. • Never get too trendy with your eye makeup. Try to stick to the classics. • Avoid apply multiple coats of mascara on your lashes. • Always choose a lip color which has warm and bright shade. Like, Pink and Red go well with the bridal look. • Apply lip-liner all over your lips evenly to make the lip color last for a longer period. • Create a pout before applying lip colour with a lip brush followed by lip pencil for outlining your lips. This simple trick can help in defining your lips. • Choose a cheek shade which is warm like rose or peachy peach. While applying blush, focus more on the apples of the cheek and blend the rest towards the hairline. If you have an oily skin, then powder blush is the best option for you. And if you have dry skin then use cream based blush to get a natural dewy look. • Avoid using neutral and frosted shades as it will make you look tired and pale. • Never miss out the blush as it can make you look flashy in pictures. • Avoid using a lip liner that has darker shade than your lip color. 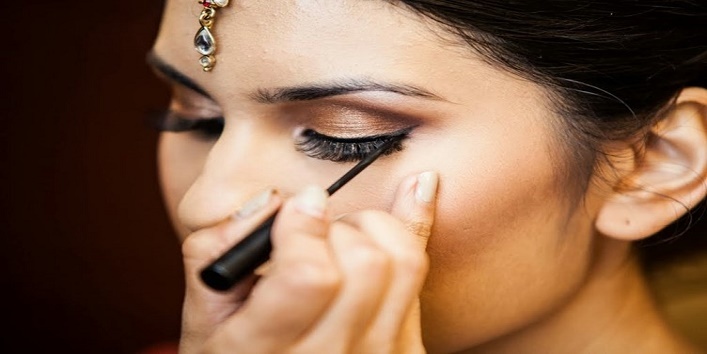 So, these were the few dos and don’ts for bridal makeup that every bride-to-be should know.